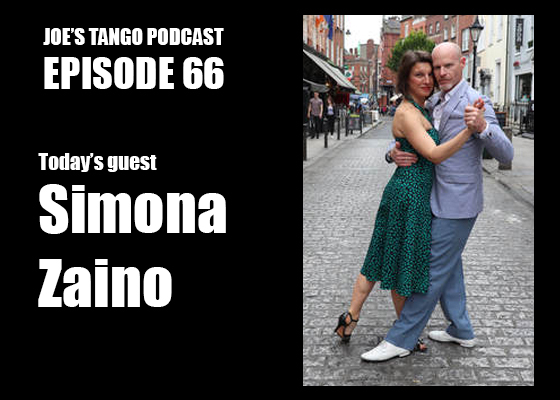 Episode 68 of Joe’s Tango Podcast is now online! Technique is important. We listen carefully to our instructors, and work hard to understand the concepts designed to help make us good leaders and followers. But we can’t get through a figure simply by thinking our way through it. If we try, we’ll lock up, get stuck, and become frustrated. Instead, we have to put the dance into motion...to just start! It might not be perfect at first, but that’s what practice is for. The more willing we are to move, the better we’ll be at trusting our bodies to execute what our brains know. By moving, we might make mistakes. At the same time, being in motion gives us the best chance of getting it right. But we’ll never be right if we just stand still. Podcast Episode 67 now online! Episode 67 of Joe’s Tango Podcast is now online! Podcast Episode 66 is now online! My guest is Simona Zaino. Although she's originally from Italy, she's based in Dublin, Ireland. 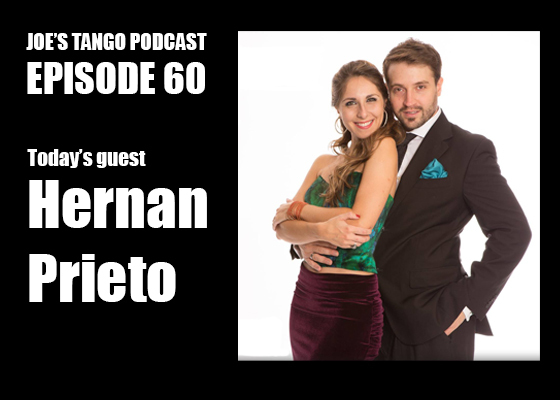 In 2004 she and her dance partner, Hernan Catvin, established Compadrito Tango, where they teach multiple tango classes and host a number of events. Simona has taught and performed all over Europe, the US, and New Zealand. She's also collaborated on a huge number of events, including acting and choreographing the opera Maria De Buenos Aires, which was staged at the Cork Opera House. In addition to appearing in television and radio programs, and having performed in a multitude of dance and music festivals, she also founded the International Tango Festival in Ireland, a yearly non-profit event that draws world-class tango pros, musicians, and tango aficionados from all over the world. Over time, not only will our own tango evolve, but the community around us will probably change, too. Friends will come and go, as may teachers. New venues may appear, and old ones may close. Despite all this, it’s best to find ways to keep moving our tango forward. Yes, we’ll be nostalgic for times when certain dancers were still in town, or when classes and/or events were done a different way. But let's not get stuck in the past, or be too romantic about it. Constantly talking about how better things used to be is not a strategy for a better future. 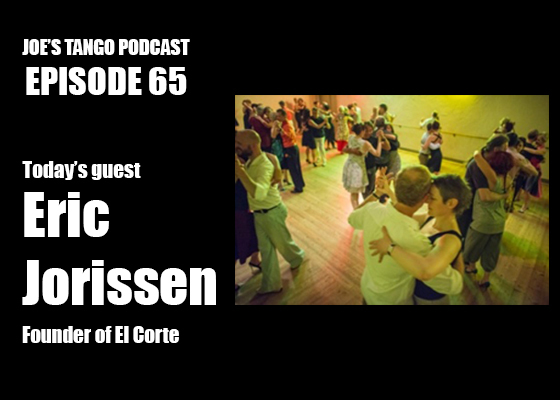 The world of tango is aways in flux, regardless of how big or small our communities are. Sometimes the changes will be welcome, sometimes not. But regardless, there will always be opportunities for tango to enrich our lives. Ultimately, we are responsible for the amount of enjoyment we get from dancing. As times change, either we’ll have to look for it elsewhere, or we may have to create it ourselves. Podcast Episode 64 is now online! Podcast Episode 63 is now online! 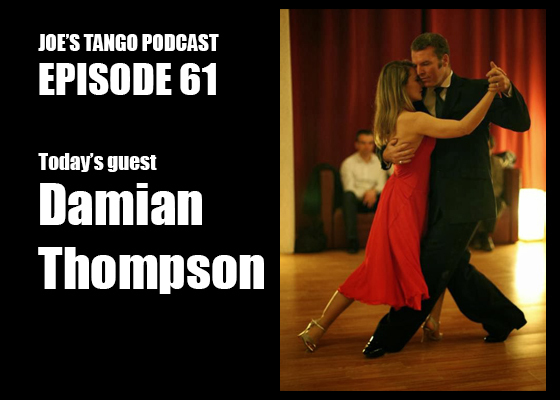 Joe's Tango Podcast, EPISODE 63 is now online! 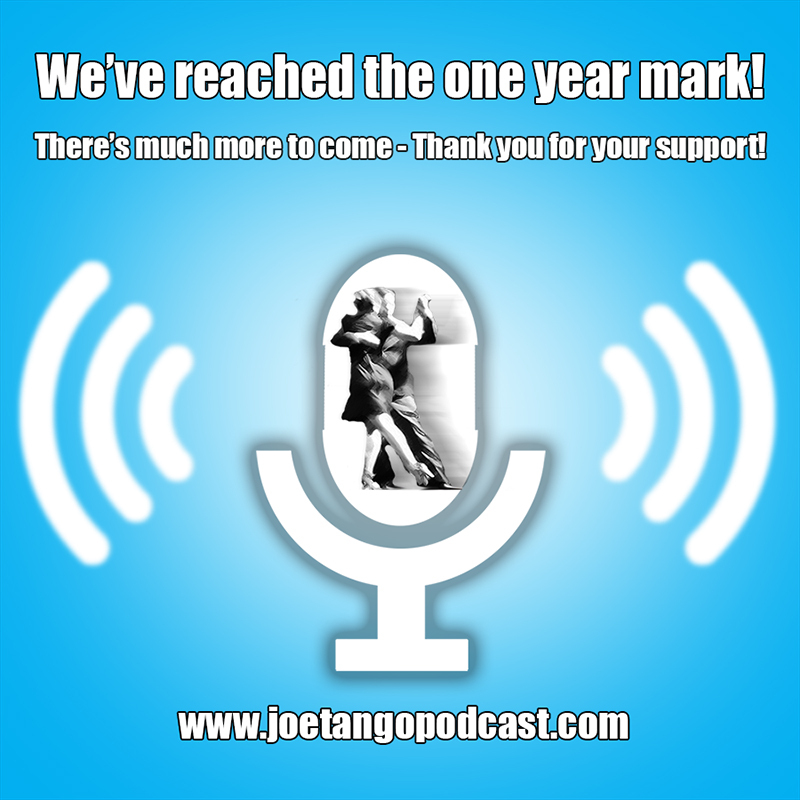 Exactly 1 year ago, I launched Joe’s Tango Podcast. Since September 1, 2017, at least one new interview aired every week. It’s been a great learning opportunity, and I’m grateful for the opportunity to have spoken with so many amazing tango instructors and organizers. Even though a year has gone by, I still feel as though I’m just getting started. More interviews are on the way! With tango, the shape of our bodies - regardless of size - presents a number of limitations. In addition to that, the amount of space we have to dance in, physical obstacles on the dance floor, and the length of each song create yet more limitations. And we're also limited by the extent of our dance knowledge. We should be aware of boundaries in our tango, whether they be physical or mental. We should test them, stretch them, and on other occasions, work within them. But it’s counterproductive to think of limitations only as hindrances to our dancing growth. Paradoxically, the creative nature of tango can’t come to light without them. Tango video blog #17: Video guide detailing leader lapiz to back sacada, and "leg carry"
Podcast Episode 62 is now online! For many of us, tango dancing is not a strict discipline. For instance, multiple teachers will introduce multiple ways to execute the same step. Two teachers may contradict each other, yet still both be correct. There is no universally agreed-upon method of instruction, and what works for one group of dancers won't necessarily work for us. Learning tango, and developing our own style can be like wandering through the woods without a map; we'll have to find our own way instead of following a trail. Becoming a good dancer in an environment such as this requires a willingness to experiment, and to discover a bunch of ideas that won't end up working. But even without a "map," we can successfully navigate the tango "wilderness" by indulging our curiosity. Add a strong dose of pure determination, and we'll be on our way. Don't panic if the journey gets messy. That's just the way tango is sometimes. Podcast Episode 61 is now online! Episode 61 of Joe's Tango Podcast is now online! On our tango journey, we'll encounter a numerous internal obstacles such as voices of doubt, lapses in confidence, and irrational fears of judgement by others. In the face of all that, we push ahead anyway. But those obstacles don't go away as we improve. In fact, they get bigger. The fearful voices in our heads get louder. The more we accomplish, the more reasons we'll find to quit. We'll never completely silence the voices of doubt, but that isn't the goal. Instead, we need to be careful not let our internal fears drown out the objective, observable improvement in our tango. The process of getting better is a worthwhile endeavor, even if it's never a smooth journey.